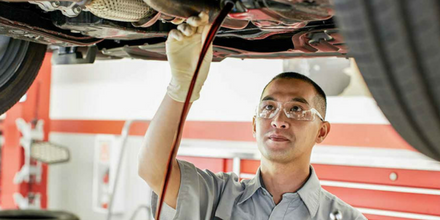 Our certified technicians will make sure your oil change is done right – every time! Car motors consist of many parts that are constantly moving and rubbing against each other. 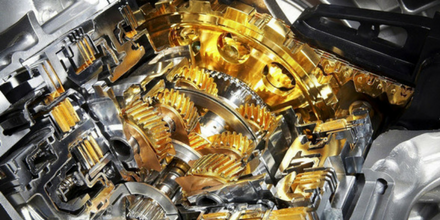 It is imperative that there is oil in your engine to ensure that these parts continue moving effectively and keeps your car in good shape.There are three key functions of oil in your engine. First, it keeps the engine lubricated so it can work efficiently without wearing out. Second, thousands of controlled explosions inside the engine mean that it can become extremely hot and oil is involved in drawing this heat away from the combustion chamber. Last but not least, oil also helps in the prevention of carbon and varnish buildup in the engine to keep it clean for long-term use. Due to the high temperatures inside of car engines, oil actually breaks down and becomes less effective the more it’s used. This means that the engine becomes less lubricated and the moving parts create more friction and can overheat and become damaged. If you forget to change your oil, carbon deposits (sludge) may buildup in the cooler parts of the engine. This may mean costly repairs in the future. After more time without changing your oil there may be more devastating damage to the car that will be harder to fix. Most Toyota’s are suggested to change the oil every 5000 km to 7500, but there are even more factors such as weather and terrain to factor in. The type of car you drive also effects how often you may need to change your oil and we’ll know the recommendations for your specific model and trim. A general rule of thumb for Canadians is to change your oil every fall and spring in preparation of the harsh temperatures. 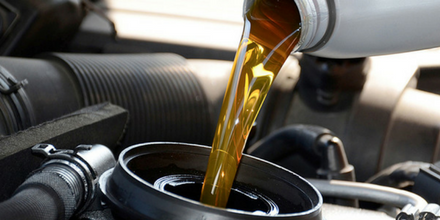 Dirty engine oil can cause a lot of problems in your engine, which is why it is important to get the oil changed regularly. Sherwood Park Toyota is open 7 days a week to assist you in any questions or concerns you may have regarding scheduling an Oil Change. Come visit us at 31 Automall Rd, Sherwood Park, AB T8H 0C7 or simply give us a call at (780) 410-2455.